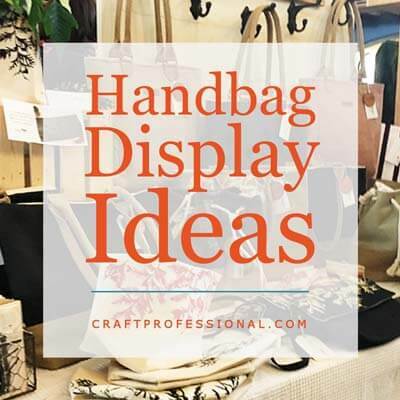 If you're working on a handbag display for upcoming craft shows, you're in luck! 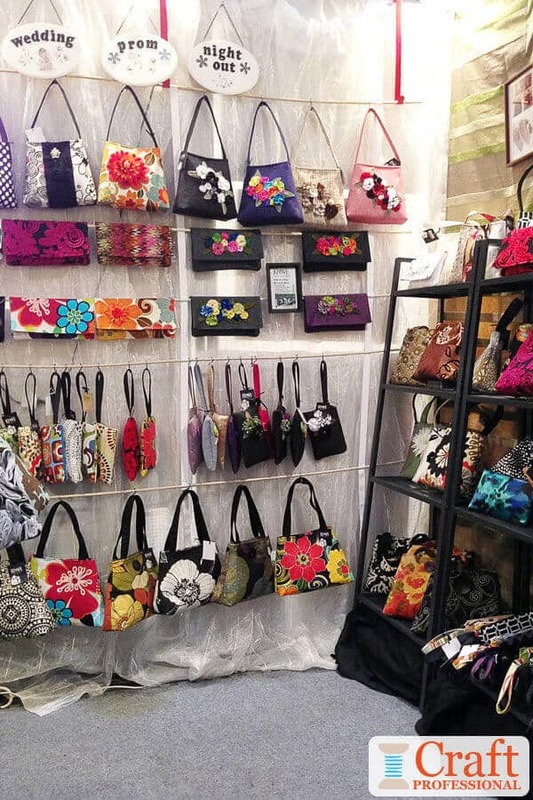 I have 9 photos of beautiful handmade purses in portable displays that show you how to display bags at a craft show. 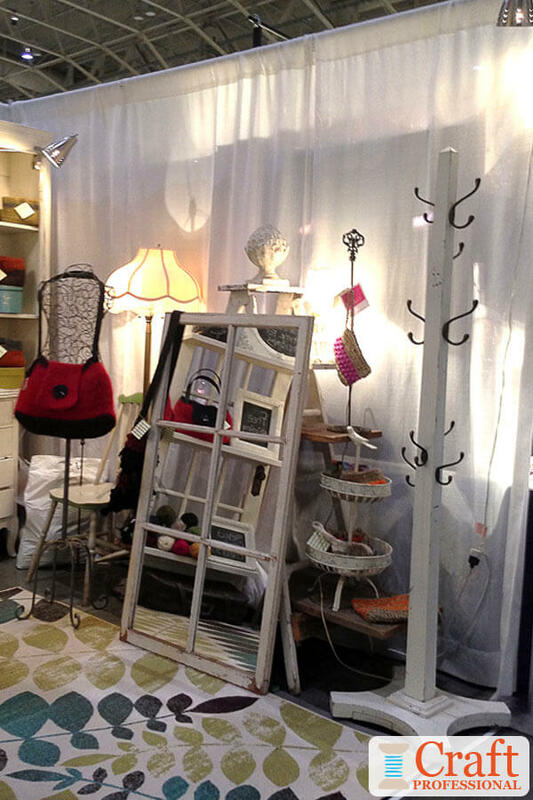 There's inspiration and ideas for using shelves, grid walls, simple poles, crates, and furniture to create a gorgeous booth for your next craft fair. 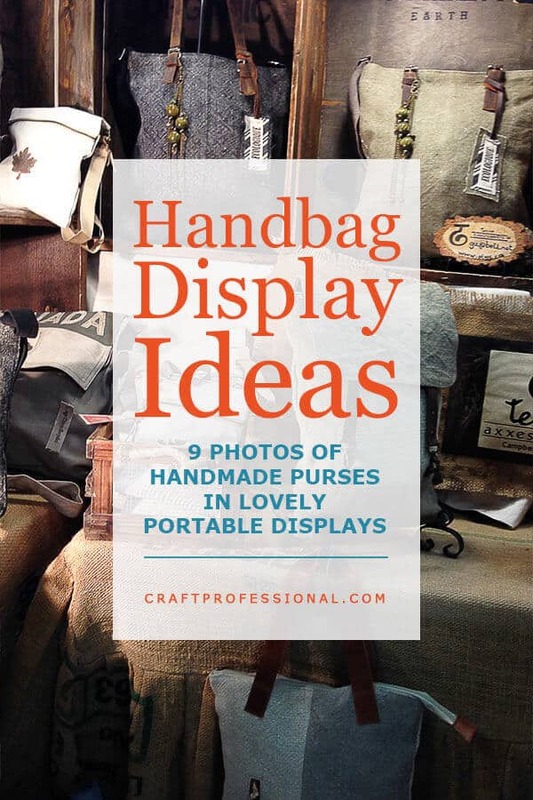 You'll find everything from casual, rustic booths to more elegant purse display ideas. 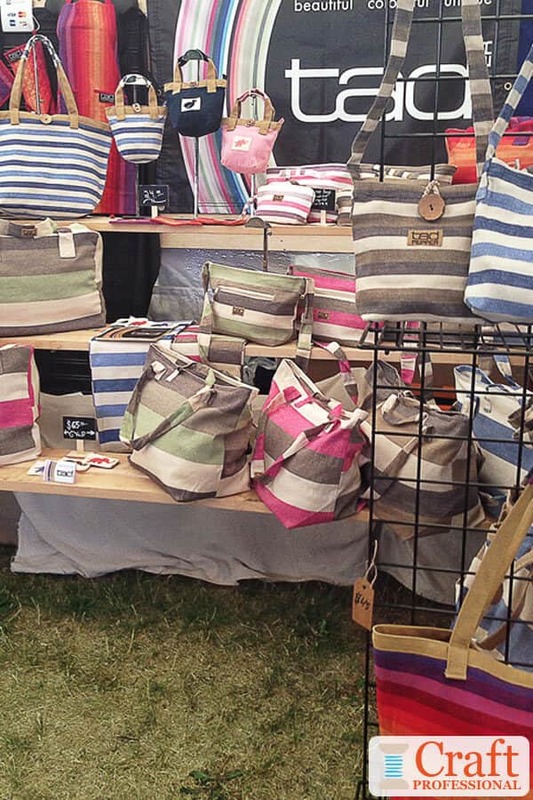 All of the displays are portable and appropriate for a craft show setting and easy to assemble. I love this rustic looking booth for so many reasons! 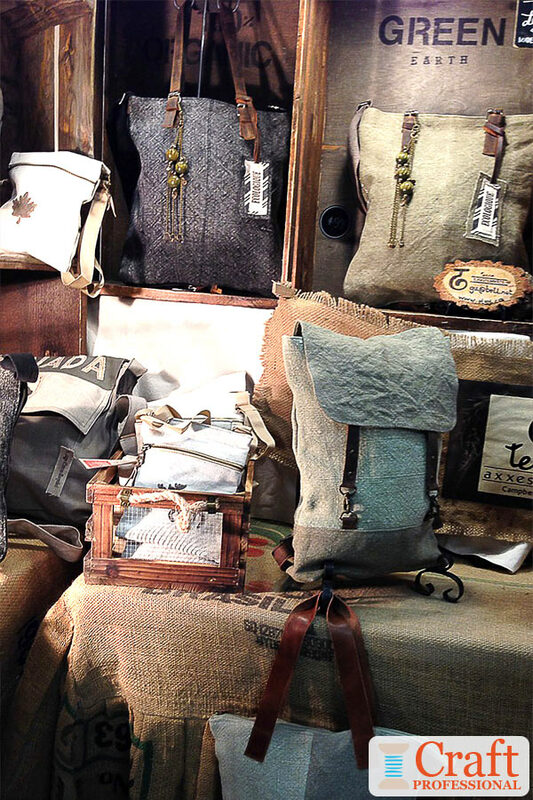 The burlap table covering, and the wood crates create a natural, rugged feel that is a perfect fit with the style of these bags. 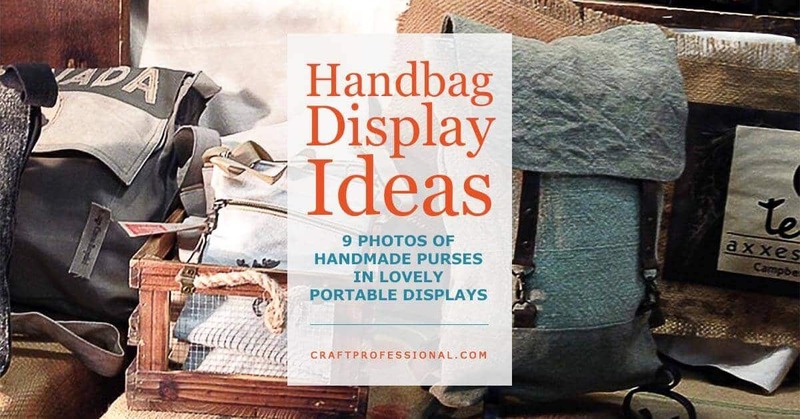 This handbag display is simple and affordable. The rustic feel wouldn't work with more formal handbag designs, but switching out the burlap table covering for something a little more luxurious would transform the display into a booth that works with more formal bags. Wood crates are an extremely practical display solution because they can do double duty as storage and for transportation. The booth is well organized and arranged, but it's no too fussy. 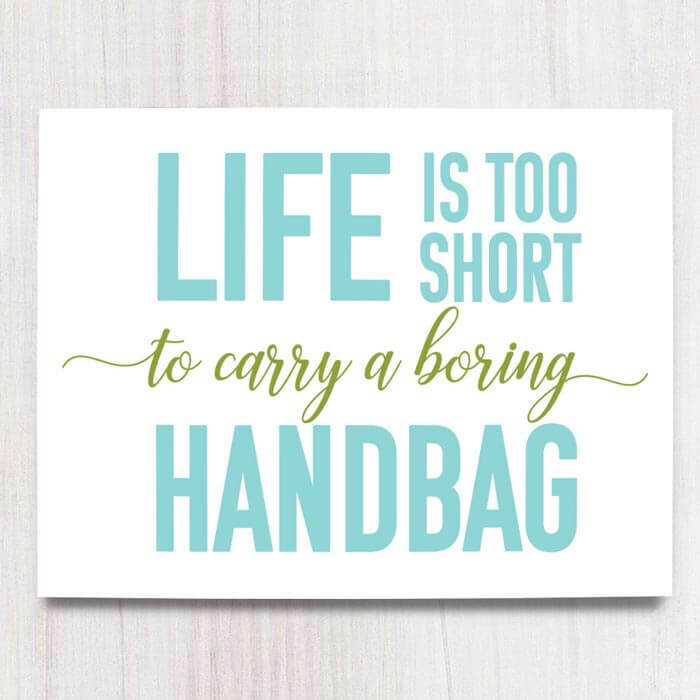 It's easy for a customer to pick up and examine any bag that catches her eye. Check out the overall construction of this booth. It's fascinating and unlike anything I've seen before. Notice the triangular base made of what looks like sonotubes. If you're having trouble finding them in the photo, they are the yellow pillars at the back of the booth on the left and middle of the photo, and the purple pillar at the front of the booth on the right side of the photo. There are holes drilled into the pillars at various heights with poles inserted. The poles create a triangular framework for the display and are used for hanging handbags and supporting shelves. There's a pole across the the front of the booth, which you can just barely see in the top right of the photo, that's used to support a row of overhead lights for this display. Also, notice the brace across the front top going from the yellow pillar on the left to the purple pillar on the right. It creates important added stability for the booth's framework. The pillars that form the framework for this handbag display are quite long (I'd guess they are approximately eight feet tall). If you use this type of setup for your display, you'd need to ensure you vehicle is large enough to transport the long pillars. The portable flooring finishes off the look. It's made of modular carpet tiles, which would be quite easy to store and transport. Tiles also have the advantage of being able to be laid out in a variety of shapes to fit different booth spaces. 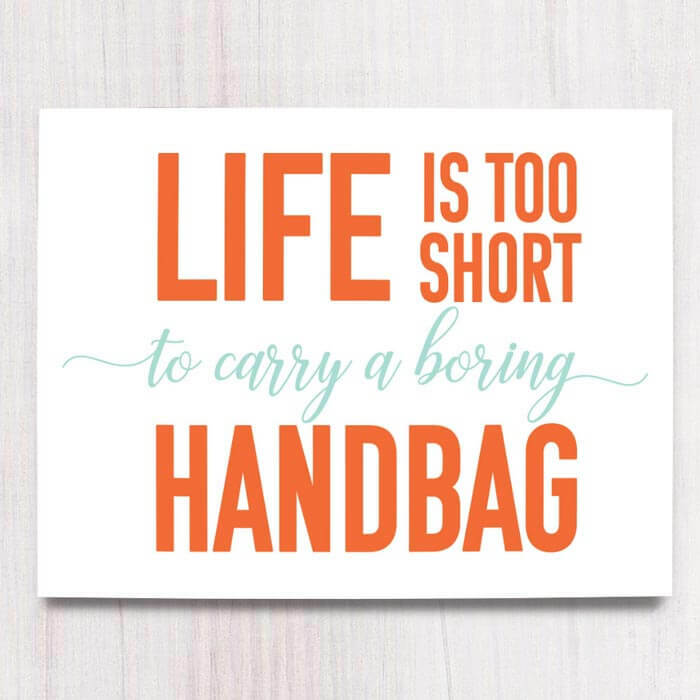 Encourage shoppers to splurge a little and buy one of your fabulous handbags with these printable booth signs from my Etsy shop. 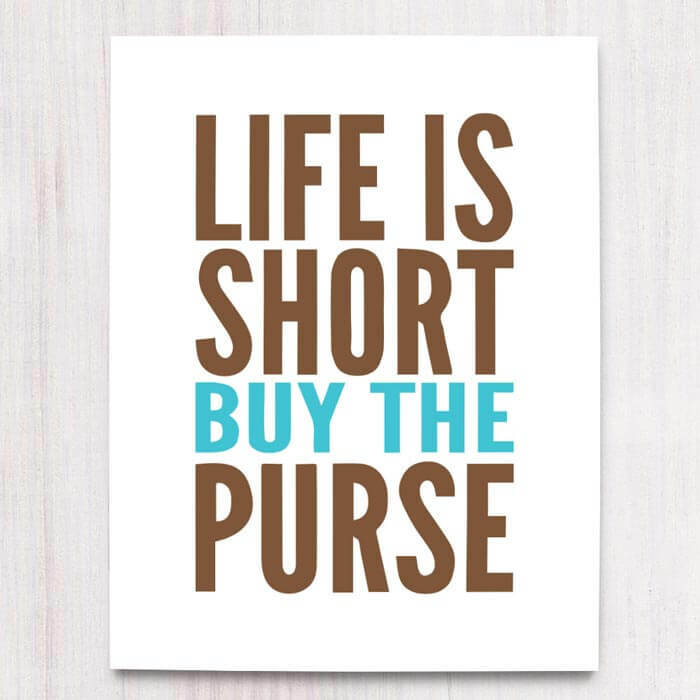 Encourage customers to treat themselves. 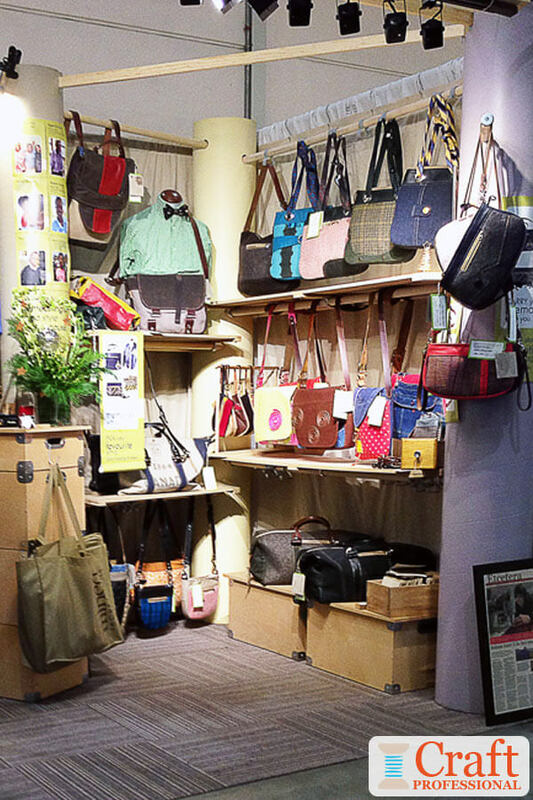 Here's another booth to help inspire your own handbag display booth. This time, totes and handbags are displayed on a combination of shelves and gridwalls. Notice the purse display stands sitting on the top shelf. The stands are perfect for shelf or tabletop displays and help to feature a few key items and show off them off at their best. You can buy purse display stands in single or double hook styles. Look for adjustable height stands to ensure the stand can be set to the perfect height to display your handbags. Gridwalls provide another smart, flexible option for showing off your bags. 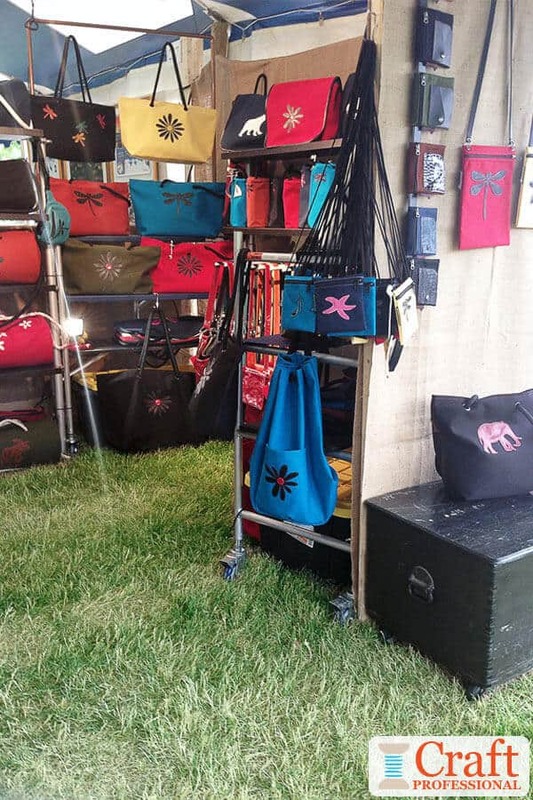 Here's another booth that uses simple poles to hang small purses and clutches. The poles are suspended from the top of the booth. 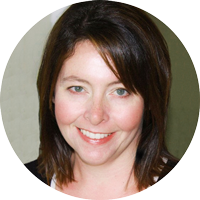 A white curtain provides an important neutral backdrop that lets the product be the focus. Notice the bags are hung from a hook, which makes it easy for customers to pick up and look more closely at each item. If you use a system of suspended poles to display handbags (or anything else) I'd recommend using hooks you can screw into the poles, so the hooks aren't constantly falling off whenever someone picks up a bag. Large cup hooks screwed into the poles at regular intervals would be far more effective than loose S hooks. This system is extremely inexpensive to create, and it leaves a lot of space for customers to move around within the booth. The shelf on the right provides some variety and visual interest. Next, we have two slightly different views of the same booth. Although both pictures are similar, they each show a few features I'd like to point out. Notice, in the first photo, the difference between the lighting in the hall, which you can just see in the top left of the picture, vs. the lighting in the booth. The hall looks quite dark, while the booth is bright and inviting. Although you don't really notice them until you go looking, there are booth lights spread throughout the display. 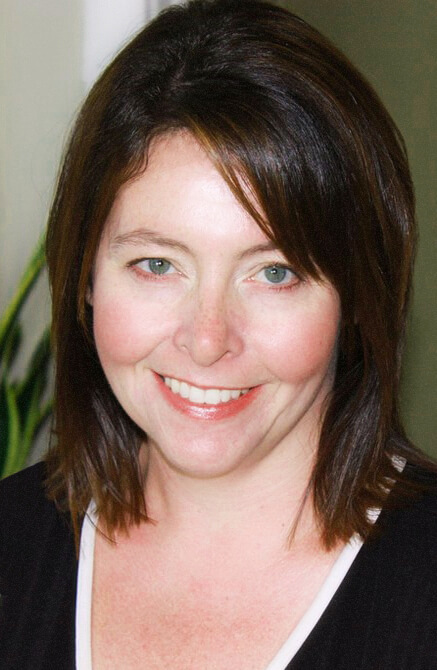 This photo illustrates exactly why you need great lighting in your booth. The lights in a large hall are bright enough to allow people to see, but they are not bright enough to show your product at its best. The lighting all throughout this booth is a crucial part of the display. We also see in this handbag display another combination of poles and shelves used to show off products. The mannequin on the left side of the photo creates some added interest, while the large bags displayed up high (in the top of the photo) help to draw attention from a distance in a large convention hall. In the second photo, you can see a counter height display shelf used to create added interest and display space in the booth. The top of this counter is clear and could function as a practical workspace for processing sales and wrapping up customers' packages. 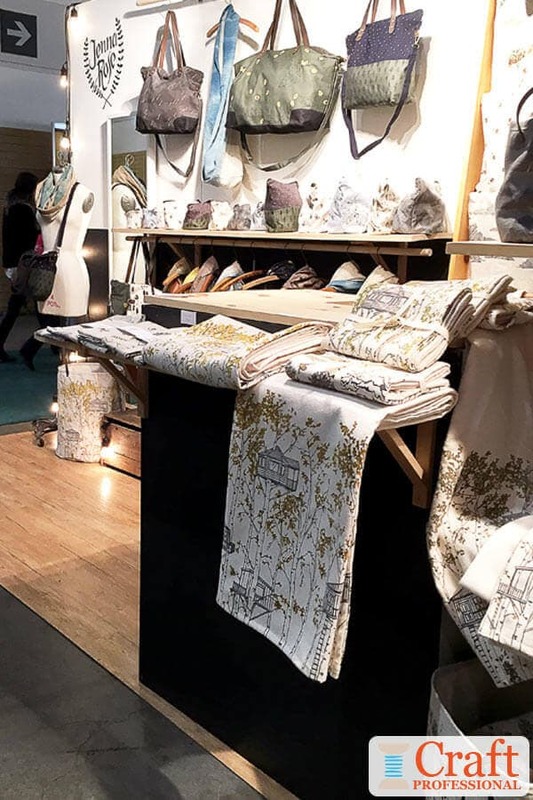 The next two photos show very different booths, but what they have in common is that the designers have, in each booth, strategically arranged the bags and turned the displays so the most striking designs are turned out and easy to see as customers approach the booth. The tote bags in the first photo are immediately eye catching. Their bright colors and simple graphic design jump out grab attention and clearly communicate this desinger's style. There's absolutely no need to get fancy with your handbag display when you have big, bright, can't miss products like these. Here we have another booth with the most eye-catching designs turned out and easy to see. 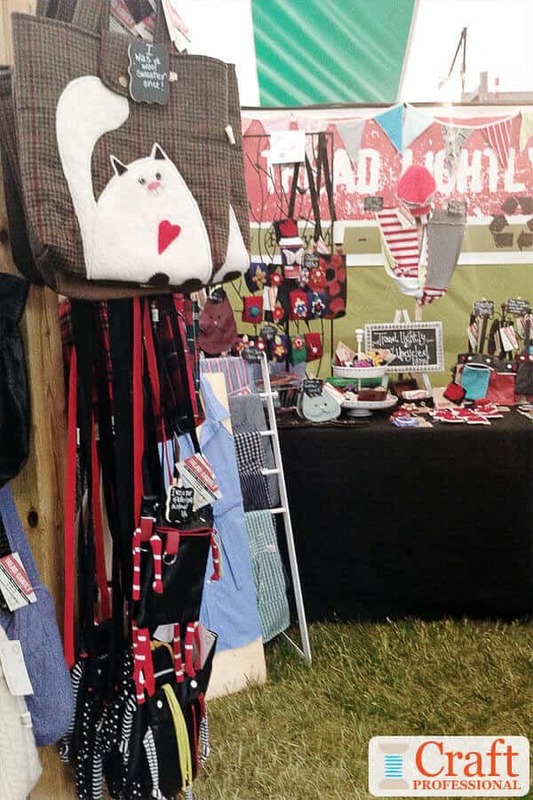 The adorable cat bag at the front of this handbag display provides instant information about this crafter's style. If your style is a little cool and funky, you're going to walk straight into this booth. If you're a cat lover, you'll be immediately drawn to this booth, too. 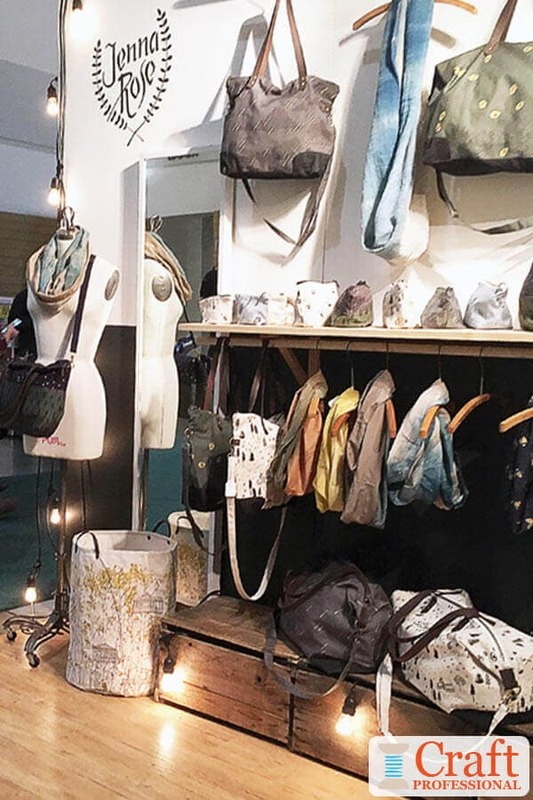 The front corners of your booth are prime real estate that should be filled with your most striking products that will grab attention, communicate your style, and make customers want to come into your booth to see what other treasures are inside. This lovely display creates a whole mood with a chic homey feel. The vibrant red handbag is a focal point displayed simply on a wire mannequin. The color contrasts with the rest of the booth, drawing your attention and pulling you in to explore more closely. This photo was taken on the last day of a long, busy show. Happily, lots of vendors were getting low on stock. I imagine the coat rack on the right was full of pretty bags at the beginning of the show. This booth is another example of a display with great flooring that ties the space together. The rug contributes to the homey feel of the display and helps to pull the look together. Flooring is often overlooked, but it can be an important finishing touch to your booth. 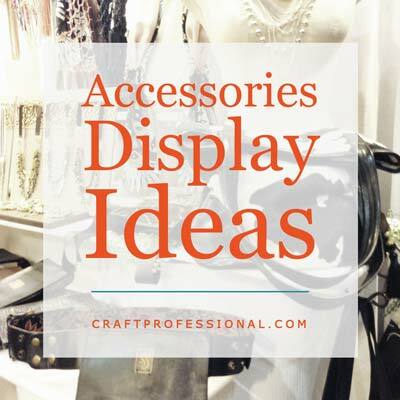 More ways to display purses, hats, and other accessories. Even more handbag display photos! 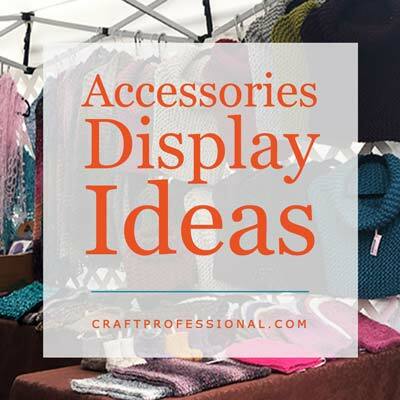 How to display accessories at a craft show.